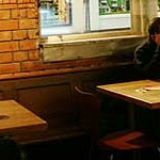 Do you work at Tobacco Factory Cafe Bar? Locally brewed beer from micro brewery, The Bristol Beer Factory. 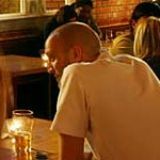 What did you think of Tobacco Factory Cafe Bar? lush food but not so great staff! A cavernous space that has the feel of an upmarket student coffee bar. 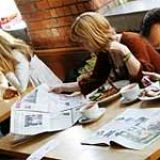 There’s plenty of space to relax and spread your clothes/laptop/newspaper around, while you enjoy good Mediterranean food at a reasonable price. 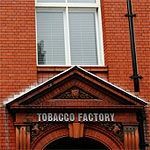 One of Bristol’s industrial landmarks, the Tobacco Factory squats at the western end of North Street. A busy mess of old and new shops make up this area that is described by some as Lower Clifton, others as the posh end of Bedminster. It's a massive space with good wheelchair access and a yard and terrace area for use on warmer days. The decor is functional but interspersed with a variety of works by guest artists. The chairs and tables are a mixture of modern tubular steel and older wooden styles, all perfectly adequate. The atmosphere is either quiet and studious or raucous and frantic, depending on the time of day. The staff are efficient and good-natured but do seem to be in a hurry a lot of the time. Interaction is quick and to the point and unless it's really quiet you feel like you shouldn't trouble them. If you prefer to be left well alone come here. 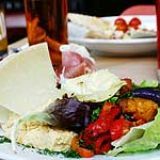 A wide variety of very reasonably priced Mediterranean food is on offer. The mezze includes a salty, spicy mixture of tapas items, such as stuffed vine leaves, peppers, chorizo and anchovies. Mains are mostly under £10 and include a mouth watering spiced lamb matzalan, and a super rigatoni with a fantastic creamy fennel sauce. The quality of the food is a nice surprise considering the price and the sometimes noisy atmosphere. Delicious homemade cakes are available for dessert as well as the usual cheesecakes and ice-creams you would expect. There is a wide range of refreshments, including a selection of organic and fair trade products. The wines are fairly run of the mill, the tangy yet dry white Chapel Down probably the most appealing to the connoisseur. For beer lovers there's a special treat as the sister company has a micro-brewery that produces ales such as the Beer Factory No. 7, a light yet potent mixture of British hops and malt with a toffee like background taste. A railway station atmosphere with high quality food and an urban, street-cred feel. A good place to hang out with friends and family for a while, not a place for romantic assignations.